LV Jewelry Exchange address, phone, website, hours of operation, and more. 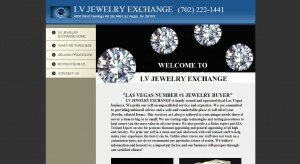 LV Jewelry Exchange is family owned and operated local Las Vegas business. We pride our self on unparalleled service and expertise. We are committed to providing unbiased advice and a safe and comfortable place to sell all of your Jewelry related Items. Our services are always tailored to your unique needs there is never a item to big or to small. We use cutting edge technologies and testing procedures to help assure you the most value in all your items. We also provide a a Rolex expert and GIA Trained Expert on site for accurate diamond appraising and general appraising of all high end Jewelry. We pride our self in a clean and safe showroom with well trained staff to help make your experience the best it can be. Unlike other stores our staff does not work on a commission basis, nor do we recommend any particular course of action. We believe information and honesty is a important factor and our business will prosper through our satisfied clients!